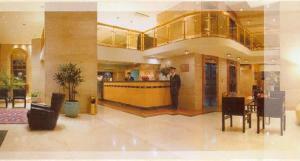 Dolmen Hotel, Buenos Aires discount hotels and accommodation. A warm welcoming smile The starting point of a new trend in hospitality facing the new century. Ideally situated in the heart of the business city area, near government headquarters and just a few steps from San Martin Square, Galerias Pacifico Shopping Center, Florida Street, art galleries, museums, theaters and Puerto Madero. It is only 30 minutes from Ezeiza International Airport and 10 minutes from the Jorge Newbery Domestic Airport. View photos, room descriptions and make online reservations at Dolmen Hotel. Save on room prices at Dolmen Hotel, Buenos Aires.